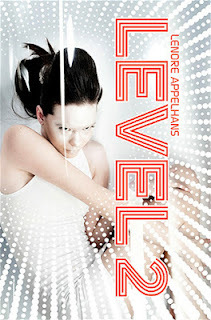 I am so excited to review Level 2, the debut novel of YA blogger extraordinaire Lenore Appelhans at Presenting Lenore! When Felicia dies in a car accident, she moves on to Level 2, an afterlife world where she spends her time in white pods, reliving memories from her short life. In Level 2, Felicia and her companions are nothing more than drones…until one day Julian, a mysterious boy Felicia knew in real life, rescues her. Once freed, Felicia is able to see that the balance of power in Level 2 has been thrown off. Julian wants to recruit Felicia into the resistance, but she’s reluctant…until he offers her something she can’t resist: knowledge about what happened to her boyfriend Neil when she died. Lenore Appelhans’ first novel is breathtaking, perfectly paced, and brilliantly written. Everything about her writing helps establish the unique and fascinating setting; the beginning is hazy, but comes sharply into focus as the tension mounts and action begins. The novel moves quickly, but Appelhans is careful not to lose her readers; there is a great balance between Felicia’s memories of her tumultuous past life and present action. One element that ties her past and present together nicely is her connection with Neil, and the drama that Julian’s presence causes. Appelhans is careful to avoid writing in a trite love triangle, but there is definitely tension between Felicia and those two characters. The writing is so expressive and engaging, and Appelhans makes getting to the heart of the emotions in her story look effortless. There are some excellent twists toward the end of the novel that keep readers guessing, and Level 2 is a detailed and fully-imagined setting about an afterlife process gone awry. Though the ending of the novel is satisfying in itself, luckily for readers Appelhans leaves her story open to a sequel. Cover Comments: I love this white and pink color scheme. The shade of pink isn't too girly or off-putting, and it makes this cover look modern and edgy. The font is fantastic, and the perspective just adds to that edgy feel. I feel like this cover fits the story really, really well! 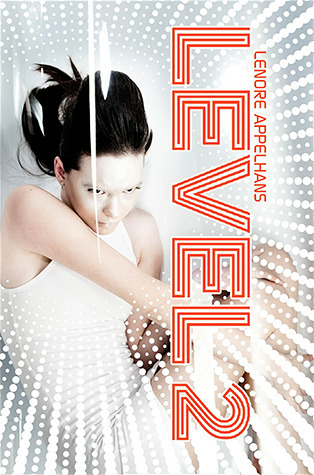 Level 2 will be on sale January 15th, 2013. The book sounds really good! I like the concept of it! I couldn't agree more on the cover. There's just something about the whole image of the cover that makes it a good head-turner. After all, cover pages are important for enticing potential buyers on the stories they contain. But it's not always the cover that gives justice to how wonderful a story is. I want to read this soooo bad!!! Hmm, maybe I should request it from the publisher. I was hoping to see it on NetGalley or Edelweiss but it's not on there yet. Daughter of Smoke and Bone Discussion!